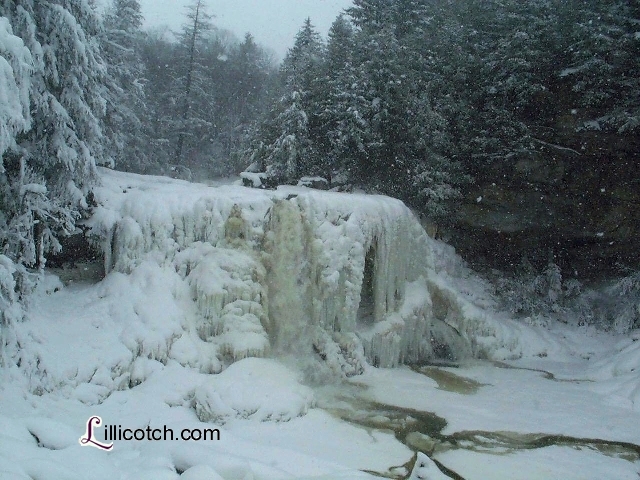 Blackwater Falls State Park is named for the falls of the Blackwater River whose amber-colored waters plunge five stories then twist and tumble through an eight-mile long gorge. The "black" water is a result of tannic acid from fallen hemlock and red spruce needles. The falls are one of the most photographed sites in West Virginia. Even in winter.